In conjunction with the GRC Annual Meeting & Expo, several field trips are offered providing the possibility to gain insight into geology, geothermal power production and more. In addition to the GRC Annual Meeting & Expo taking place October 14-17, 2018, there will be a grand total of five fieldtrips offered before, during and after the conference. From October 12-14, there will an opportunity to visit one of the best-studied Quaternary calderas in the world. The fieldtrip will highlight the volcanic history of the Long Valley Caldera in eastern California and the evolution of the geothermal system, including spectacular overviews of the caldera and the eastern Sierra Nevada crest. 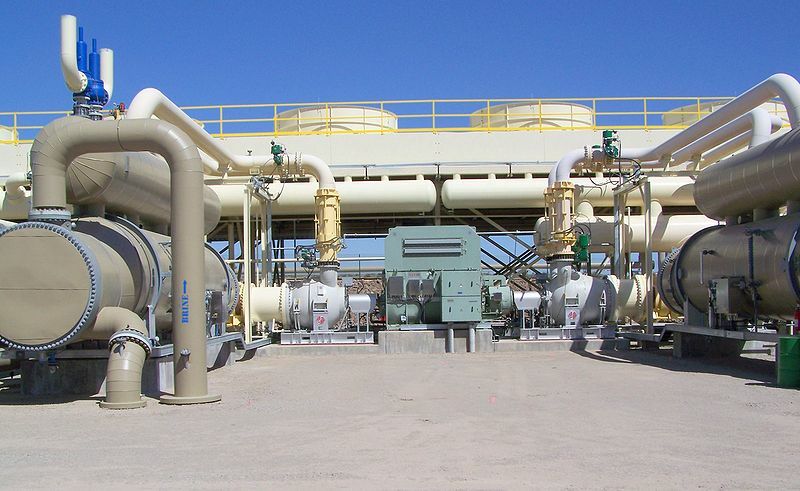 On Sunday, October 14, a short three-hour fieldtrip will visit Ormat’s Steamboat Geothermal Power Plant Complex, located just south of the city of Reno, which currently produces enough renewable energy to meet the residential electrical needs of the city of Reno. During the GRC Annual Meeting & Expo, attendees will get a number of opportunities to tour the geothermal direct use heating system of the host hotel, the Peppermill Resort Spa Casino, the only resort in the United States whose heating source is totally provided from geothermal energy produced on the immediate property. On the day after the GRC Annual Meeting & Expo there will be two day-long fieldtrips available. One will travel north from the Peppermill to the San Emidio geothermal power plant and the Fly Ranch Geyser, with dedicated opportunities for photography. Another fieldtrip will go south to visit the southern Gabbs Valley in western Nevada, where state geologist Jim Faulds will demonstrate how a blind geothermal system was recently discovered through application of play fairway analysis. More information on the fieldtrips, including more detailed itinerary and cost, can be found on the GRC Website at https://geothermal.org. The GRC Annual Meeting & Expo is the industry’s largest annual gathering of leading geothermal energy scientists, producers, renewable energy industry stakeholders, regulators, utilities, and key associated business leaders. The four-day event will offer technical, policy, and market conference sessions, educational seminars, tours of local geothermal and renewable energy projects, a trade show and numerous networking opportunities. Registration for the GRC Annual Meeting & Expo is now open with an early-bird discount available until September 30. A discounted room rate at the Peppermill is available until September 19. For more information about the GRC Annual Meeting & Expo at the Peppermill Resort Spa & Casino, Reno, Nevada, USA visit http://www.geothermal.org or call (530) 758-2360.